An arching, multi-trunked shrub or small tree to 20 feet tall. Native to the shaded canyons and slopes of extreme southwest Texas and into Mexico, Mexican rebud can also be used as a landscape tree for hot, dry locations. Simple, alternate, heart-shaped, 1" to 2.5" long and wide; glossy and green; leaf edge wavy, without teeth. Twigs and petioles are wooly-hairy. Showy, purple to pink, pea-shaped, borne on the twigs before the leaves emerge in spring. A flattened pod, 2" to 3" long, dark brown, enclosing the small, hard seeds. Dark gray, smooth, developing a scaly texture on older stems and trunks. Susceptible to cankers and boring insects. Heavy, hard, weak, dark brown in color, and of little commercial importance. Cultivated as an ornamental tree in the landscape trade. 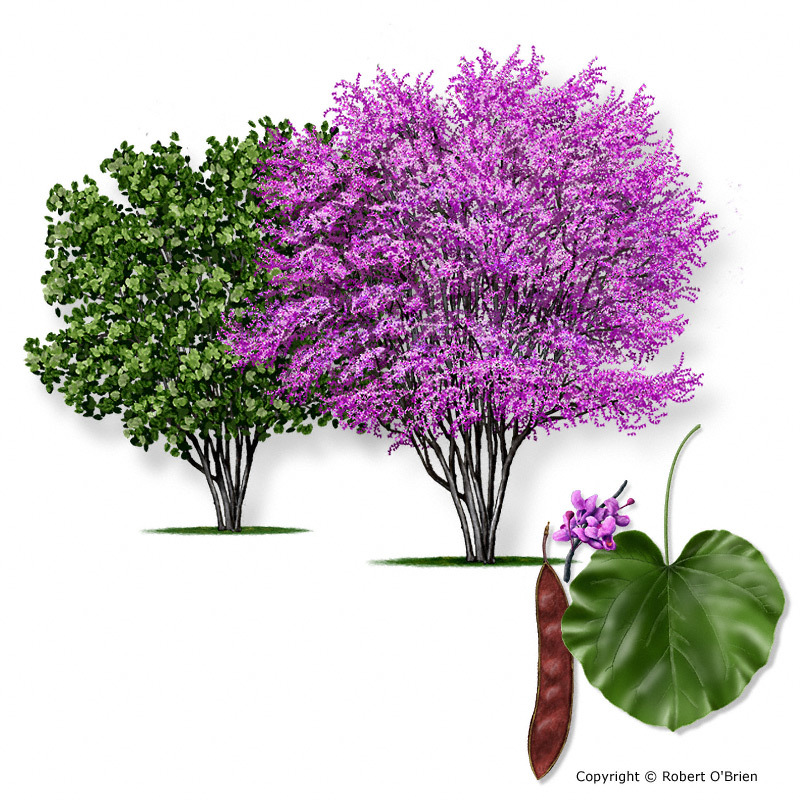 Texas redbud (Cercis canadensis var. texana) has larger leaves without the wavy edge. It has been reported that the flowers can be pickled for salads, or fried.